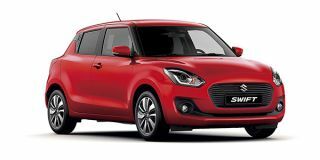 Maruti Swift price in Mumbai starts from Rs. 4.99 lakh (Ex-showroom). Swift is available in only 14 variant. Maruti Swift's top competitors are Maruti Baleno (price starting at Rs. 5.55 lakh in Mumbai) and Tata Tiago (price starting at Rs. 4.32 lakh in Mumbai). Share your experiences with Swift? Q. What is normal life span of Swift AMT petrol engine and is there more maintenance cost then manual transmission? Q. What about LXi, is base model suitable or not? At this price which is best car among Ignis or Swift LXI? Ignis is smaller and more toy like. Swift is sportier and larger. Q. Hi, My budget is 5 lakhs, which is the best and safest car in this budget? Q. Which is good to buy, Swift or Polo in terms of driver comfort and maintenance? Polo is more comfortable and now easy to maintain too. Q. Which car is best to buy? 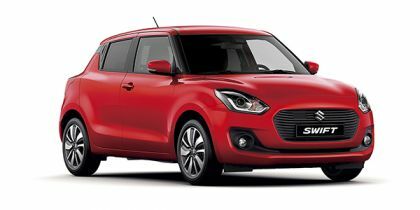 Confused about Maruti Suzuki Swift?